To see poison in a dream refers to comfort which will be reached at the end of difficulties, starting to save money by getting rid of debts, having positive thoughts by forgetting bad thoughts. To see of eating or drinking poison or you get poisoned in your dream represents that you will fix your financial condition by giving up your habits and spendings for a while. You shouldn’t repeat your old extravagancy in the next days. To see that you died by getting poisoned, drinking poison in your dream indicates that you will hear advices which you got angry but will approve then. If you see that you died because of the poison in your dream, it means that you should pay attention to the warnings coming from your elders or relatives. To dream that you puke poison means that a person who doesn’t like you will slander but it will reveal that this guilt is groundless as soon as possible. To see that you save from the poisoning in your dream may represent that an issue which you are always busy with will be enlightened. To see a person who eats, drinks poison in your dream may imply that a person who gives always harm to you will die or s/he will be in a condition that s/he won’t deal with you because s/he has a big trouble. To see that you poison a person in your dream indicates that by doing unfair accusation to a person who gives harm to you, you will underestimate him/her within people and destroy his/her prestige. To see that you die by poisoning in your dream means that you will clean illusion inside you. If you see an animal which dies because of the poison, it indicates that the environment you work will be better and your pleasure from this job will increase. To see of buying and selling poison in your dream symbolizes that you will earn money from bad ways and you will do it for a long time. 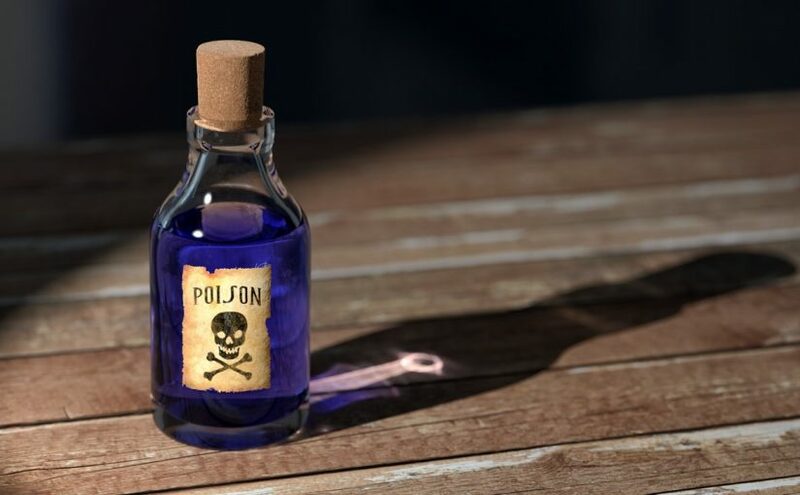 To see poison as powder in your dream indicates that as long as you don’t eat poison, it refers to money and property, the increase of your money, getting a property which brings rent. To see poison in the bottle and as liquid in your dream refers to fortune as long as you don’t drink it. It also signifies a property which will get valued as the time goes. To see of eating poison from your own scar or another person’s scar in your dream suggests that you will learn a new job,you will beat an enemy whom you are afraid of, you will get a favourable conclusion by talking to a person whom you avoid to speak with. What if the dream is of my mother unknowingly drinking poison before me and my dad told her what it was?